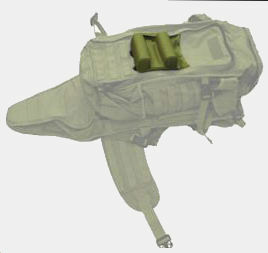 This is a backpack mountable shooting rest designed to attach to any 3-wide MOLLE or PALS panel (Eberlestock's Padlock system), using its built-in attachment clips to form a secure rifle rest. 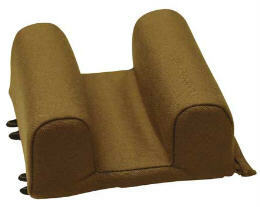 It can be easily and quickly removed and reattached. 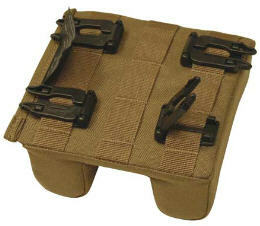 This simple shooting rest is a great lightweight field expedient alternative or backup to bipods, and hardware-based shooting rests. 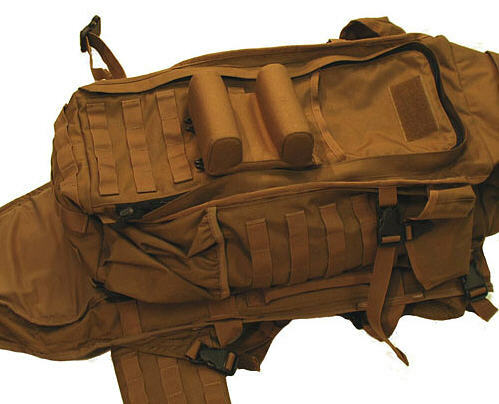 Includes a built-in Padlock strap, for attachment to any standard MOLLE/PALS-compatible webbing. Approximate weight is 0.20 Pounds.